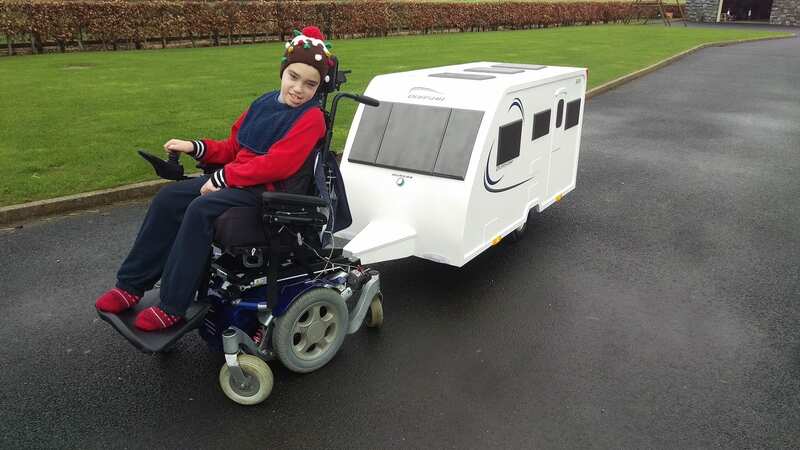 Devoted Dad and Lunar caravan owner, Martin Tierney, didn’t need any assistance from Santa to organise the perfect present for his 11-year-old son, Dylan – but he did ask for a little help from the folks at Lunar Caravans. Like most boys his age, Dylan is mad about cars, tractors, trailers, motorhomes – ‘anything with wheels’! But unlike most boys, Dylan is severely mentally and physically disabled and wheelchair bound. One of his great joys is going off for adventures with his Mum, Dad and little sister in the family’s Lunar Quasar 525. 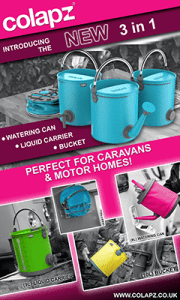 He is particularly fascinated by the notion of being able to hitch the caravan up to the car and ‘go’ and loves it when the caravan is being towed to and from a site. So, as a very special surprise for this bright and brave boy, trained carpenter Martin set up his own Christmas workshop and began crafting a mini Quasar 525 for Dylan to tow behind his motorised wheelchair. Just like the real thing, Dylan’s mini caravan has a hitch, a door, windows and lights – the only thing missing was the official Lunar Quasar decals. Keen to replicate the family’s ‘van exactly, Martin approached Lunar’s CEO and Chairman Brian Mellor for help.